Run transaction code (i.e. MIRO) and wait until program stops at the break point that is set in step 2. Use SE18 to see the BADI attributes. Press F8 to get more BADI’s used by MIRO in sequence they are called. Press F8 to continue the program – when CALL CUSTOMER-FUNCTION construct is reached in the code, the ABAP debugger is started and you can read the name of user exit. 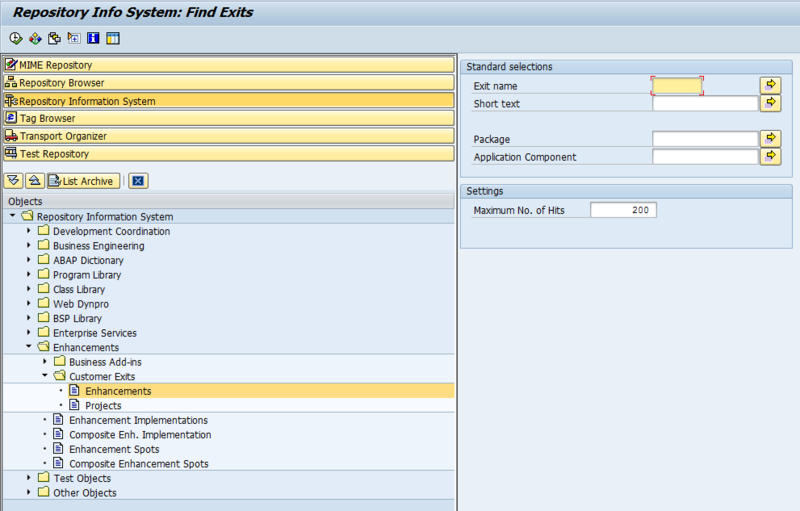 This entry was posted in ABAP, Development and tagged ABAP, badi, SAP, user exit by Spider. Bookmark the permalink.